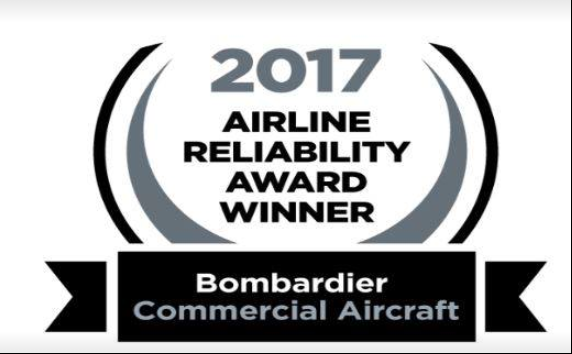 June 6, 2018, Toronto, Ontario –Ethiopian Airlines, the largest Aviation Group in Africa and SKYTRAX certified Four Star Global Airline, is pleased to announce that it has won the 2017 Airline Reliability Performance Award, for the 7th year in a row, from Bombardier Aerospace. Ethiopian currently operates 21 Q-400 Next Gen aircraft, including the only in Africa Q-400 double cabin which has the quietest engine in its category. The Q-400 is an ideal aircraft for domestic and regional flights with a speed closer to narrow body jet airplanes and with reduced fuel consumption and emission. Ethiopian Q-400s are used for its extensive regional and domestic network serving the ever-increasing tourism and business travel needs of its customers. The Airline Reliability Performance Award recognizes operators of Bombardier CRJ Series regional jets and Q Series turboprops who have achieved the highest rates of dispatch reliability.